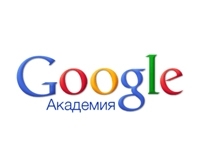 Citations Academy Google allows authors to follow the citation of their articles. You can find out who links to your publications, create a chart and calculated the citation indexes of the process. The Editorial Board of «GEOGRAPHY AND TOURISM» supports the Budapest Open Access Initiative, aimed at free and gratuitous dissemination of scientific knowledge, which supports rapid development of science. The Editorial Board undertakes systematic efforts to include the journal into international electronic libraries, catalogues and scientometrical bases with the purpose of entering into the world scientific information environment, increasing the rating of the journal and citation indices of its authors. The Editorial pursuing an active policy of attracting leading international scientists in the review process of authors' manuscripts.